These 30 ml PET bottles are used for packaging liquid formulations like oils, aromatherapy products, personal care products, and cannabis products. Bottles (Part #'s 29591, 29592, 29593) fit with corresponding glass droppers, (Part #'s 29581 and 29583) and corresponding screw caps, (Part #'s 29585 and 29587). 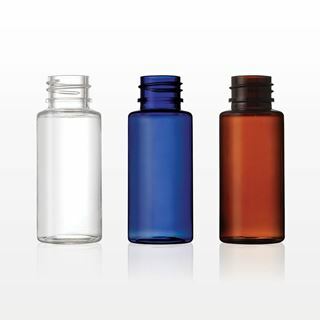 These glass dropper caps fit our 30 ml PET bottles (Part #'s 29591, 29592, 29593), which are ideal for packaging liquid formulations like oils, aromatherapy products, personal care products, and cannabis products. 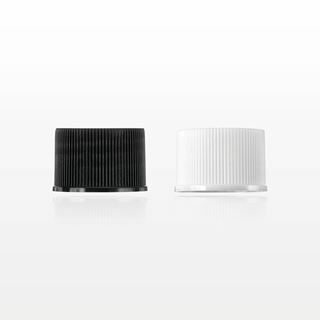 These polypropylene screw caps fit our 30 ml PET bottles (Part #'s 29591, 29592, 29593), which are ideal for packaging liquid formulations like oils, aromatherapy products, personal care products, and cannabis products. The interior lining in the cap will help avoid product from leaking. This 30 ml PET dropper bottle is used for packaging liquid formulations like oils, aromatherapy products, personal care products, and cannabis products. Fits with corresponding glass droppers (Parts #'s 29581 and 29583) and corresponding screw caps (Part #'s 29585 and 29587). These 15 ml PET bottles are used for packaging liquid formulations, like oils, aromatherapy products, personal care products, and cannabis products. Bottles (Parts #'s 29588, 29589, 29590, 29605) fit with corresponding glass droppers, (Part #'s 29580 and 29582) and corresponding screw caps, (Parts #'s 29584 and 29586). These 3 ml glass bottles are used for sampling or storing small quantities of liquid formulations like aromatherapy and CBD oils, serums and foundation. Fits with corresponding dropper caps, screw caps and reducer (Part #'s 74255, 74256, 74259, 74260, 74261). These 15 ml glass bottles are used for packaging small quantities of liquid formulations such as oils, aromatherapy products, personal care products or cannabis products. The blue and amber bottle colors are particularly beneficial for light sensitive formulas. Easily dispense these products using the corresponding Dropper Caps, Screw Cap, Fine Mist Sprayer Cap, or Lotion Pump Cap.